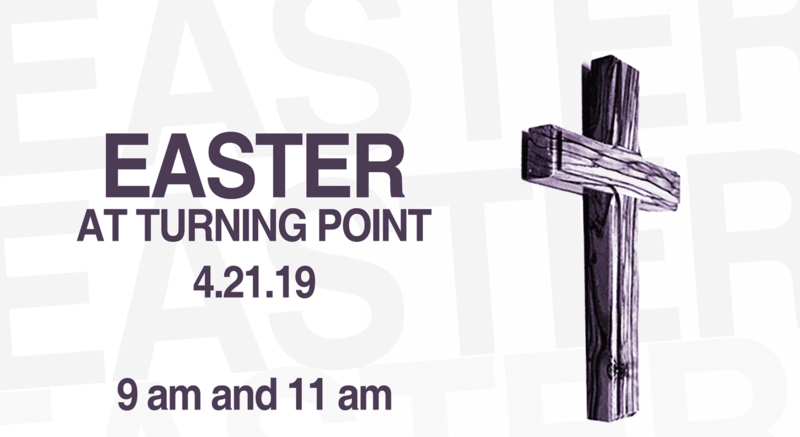 Join us Easter weekend at Turning Point as we celebrate the death, burial, and resurrection of Jesus Christ along with an incredible time of fellowship and fun for all. Our Good Friday Service on April 19 at 12 Noon is a time where we gather together to remember Jesus' sacrifice for the sins of the world in a special service examining the story of that fateful day at Calvary. God's Word will be our guide as we sing songs of remembrance, read Scriptures pertaining to the crucifixion, and partake in Holy Communion. Our Good Friday Service is approximately 50-55 minutes in length so you can get back to your workplace in time during your lunch hour. 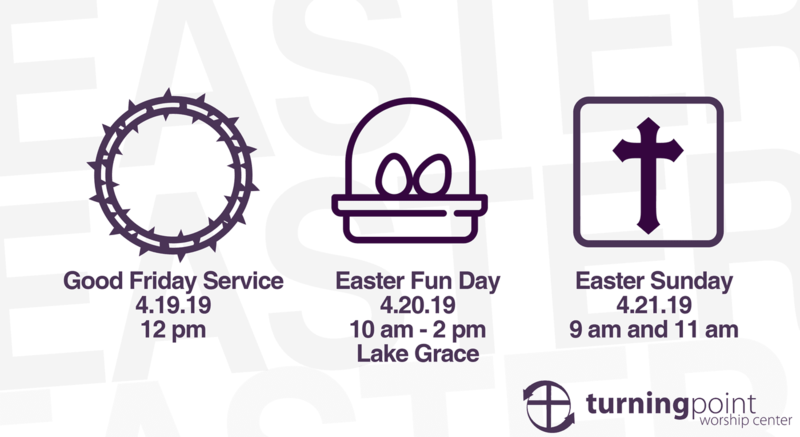 Easter Fun Day at Lake Grace continues our Easter weekend celebration on Saturday, April 20 from 10AM-2PM where we'll gather together as a church community to enjoy egg hunts for the children, inflatables, games, jet skis, water tubing, foam machine, and much more. Also on site will be the Taco Food Truck and Tender Pig BBQ Food Truck selling their delicious food. Please bring cash only to purchase your food. Bring your family and friends to Easter Fun Day at Lake Grace. Easter Sunday on April 21 is where we gather together to celebrate the resurrection of Jesus. The resurrection of Jesus gives us hope that what is dead in our lives can come to life again. Join us this Easter to experience and celebrate the fresh hope we have in Jesus. 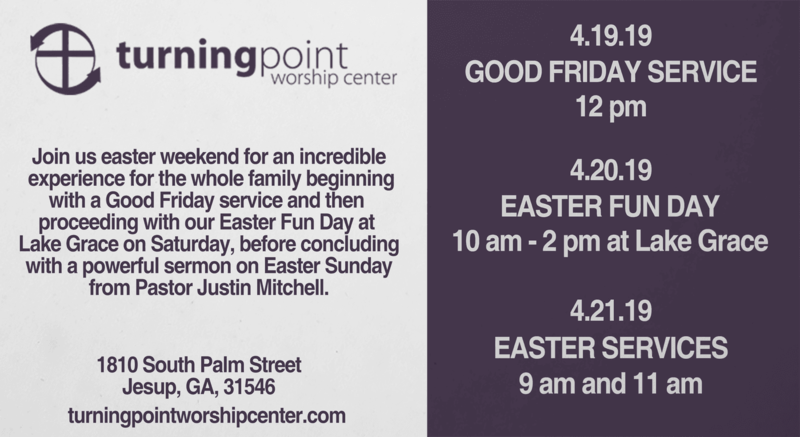 Due to the increased attendance, we offer 2 services on Easter Sunday at 9AM or 11AM. Children's ministry and nursery available at both services for your little ones. The resurrection of Jesus gives us hope that what is dead in our lives can come to life again, and we can experience true freedom. Join us this Easter to experience and celebrate the fresh hope we have in Jesus. 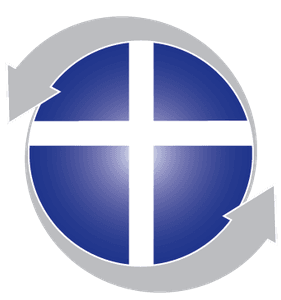 -Special illustrated sermon message from Pastor Justin Mitchell entitled "No More Grave Clothes"